Lane's Car Products Engine Bay Care Products UNIVERSAL - Dezod Motorsports Inc - Home of the automotive performance enthusiast since 2002. Engine Dressing is a clear dressing, formulated for the engine compartment. This motor glaze is designed to cover the entire engine and give it the “new engine” look. Now, you can give your engine compartment a quick shine and whole new look. 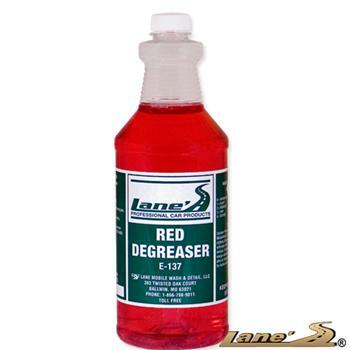 Lane’s Red Degreaser is the answer, cutting through grease and grime upon application. Not only will your engine be clean, you will prolong the life of your engine exterior components. Best of all, Lane’s Engine Degreaser will increase the value of your car. When you go to sell your car, the buyer will look under the hood only to see a clean engine.